Digital Element is the global leader and industry pioneer of IP geolocation technology. 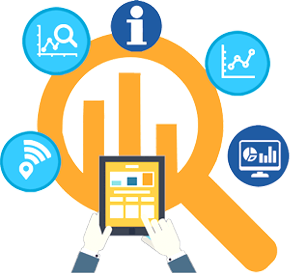 Our IP Intelligence solution is deployed by the world's largest broadcasters, publishers, e-commerce sites, analytics providers, ad networks, content portals, enterprises and more. Deliver hyperlocal offers and charge up to 50% more for advertising inventory. Increase online engagement and improve response rates by up to 300%. Better predict user behaviour based on geo/demographic segments. Provide location-relevant content with no user opt in required. Control distribution of digital media based on user location. Validate user location for mission-critical security applications. Our products require a reliable and trusted source of data, and Digital Element’s impressive client list is a statement that its IP geolocation data has integrity. The company’s client services have been impeccable with quick, responsive, and direct answers to all our questions. Digital Element’s NetAcuity solution provides us with a highly accurate and comprehensive global database, and their solution was easy to integrate with our delivery systems. We also receive great customer service, and the other intelligence data variables. Digital Element’s NetAcuity Edge™ technology provides us with the most accurate data available, enabling us to operate with confidence that we are offering the best experience possible as well as remaining compliant with any geographic restrictions. 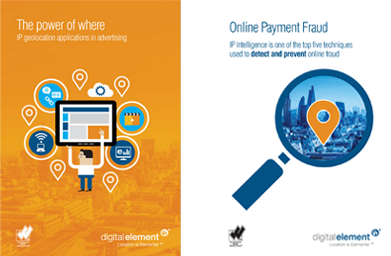 Digital Element’s IP Intelligence solutions deliver the highest degree of accuracy, especially postcode-level targeting, allowing us to deliver more finely tuned campaigns. We evaluated Digital Element against other top competitors, NetAcuity IP Intelligence technology delivered the most accurate and deepest data elements. The ability to enhance our ad targeting down to the postcode level allows us to optimise execution of client campaigns and deliver better results. Digital Element pioneered the process of linking an IP address to a geographic location and specialises in keeping the information current and accurate. Get access to Digital Element’s exclusive whitepapers, developed by the experts in the IP geolocation industry. Your privacy is important to us and we do not share your information with anyone, including third-parties.